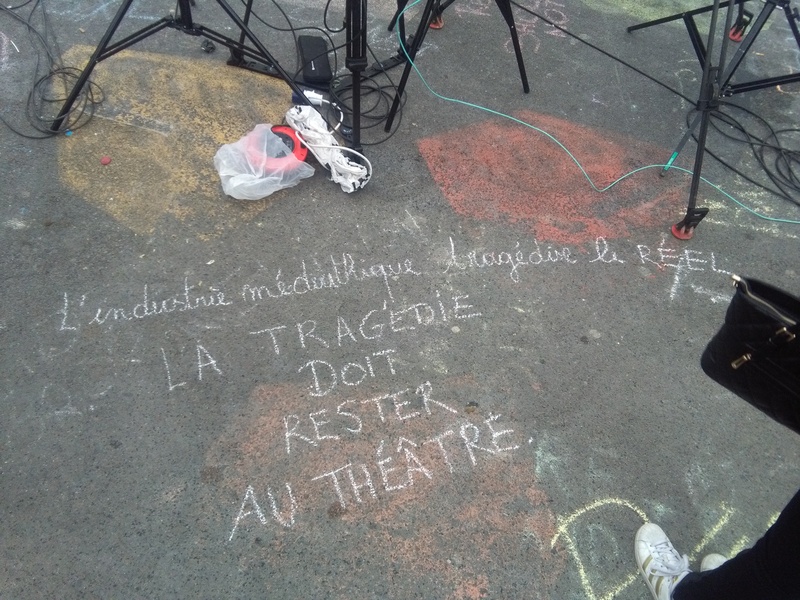 In the evening of 22 mars, many people gathered on the Beursplein in Brussels to write messages with multicolored crayons, expressing grief and solidarity with the people who suffered from the terrorist attacks that happened earlier that day. 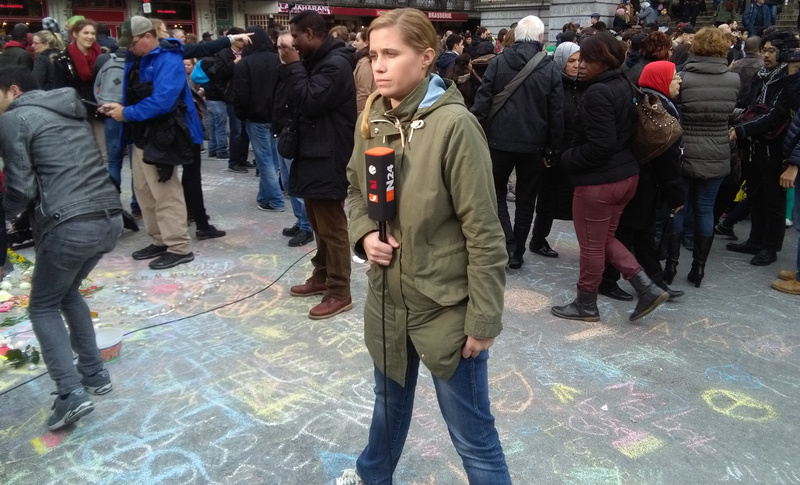 Next day a storm of international press teams set up camp around, and because there is not much place, on the square. The mass of trucks and camera’s blocked entrances to the square, making t very difficult for people to gather. 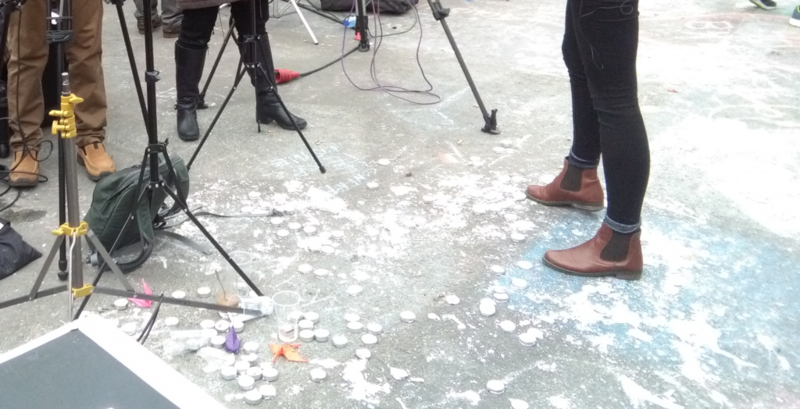 A large part of the texts that were written and candles that were put on the square were literally trampled by reporters.